North of Newcastle (NSW) stretches a coast of lightly-inhabited, by humans at least, beautiful beaches and lakes, all the way to Seal Rocks. The ocean waters off Stockton, Port Stephens, Hawks Nest and the Myall Lakes National Park have been under study by the CSIRO. It turns out that there is a largely unseen additional population of great white sharks, also called white sharks or white pointers. This area is a key nursery for them, with up to 250 juveniles. Check out SMH’s Damon Cronshaw report and photo. We now know that these shark youngsters, their parents and friends apparently spend a third of their time near the shore and in the surf zone, in water as shallow as a couple of metres. The scientists state the (bleeding?) obvious: “frequency of encounters between people and sharks can be high”. And they are a protected species, these sharks that is. Apparently unlike in WA! On a camping trip to Myall Lakes your KC correspondent called in to the local Visitor’s Centre, where we were obligingly told without euphemism that it was indeed a known ‘sharky’ area – maybe good risk management policy for a tourist bureau, or just an honest volunteer staff member? 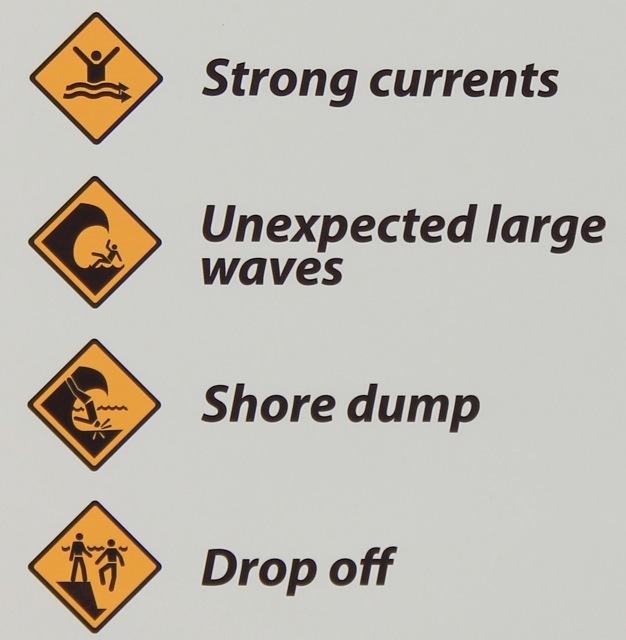 Though maybe they need to update the beach signage for that extra danger. Here’s hoping the Great Whites keep minding their own fishy business. We have stayed a few times at Pacific Palms and enjoyed the surf at Blueys, Boomerang, and Elizabeth Beaches (just north of Seal Rocks) and I’ve been keen to get back….perhaps I need to reconsider!!?? Totally agree with you Michael. It was tongue-in-cheek. Councils are s-scared of liability exposure. The list of dont’s on Sydney beaches is frightening. An Irish visitor sued Waverley Council for his broken neck and paraplegia, caused by him diving into a sandbank, and claimed he should’ve been warned of the risk?